In the state of Punjab in India, burning residue from the annual rice paddy harvest is a practice that dates back decades. 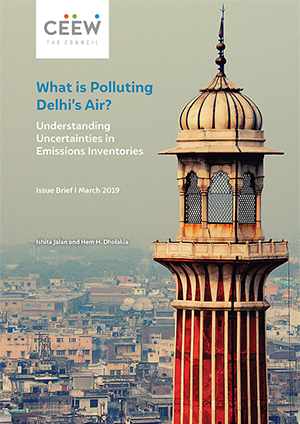 Crop waste burning emits particulate matter (both PM10 and PM2.5) and greenhouse gases (GHG), which aggravate the poor air quality in Punjab, Delhi and the National Capital Region (NCR). Many policies have been mandated in the past few years to address this challenge. Yet, alternative technologies and practices have not been adopted widely, and the practice of burning crop waste persists. 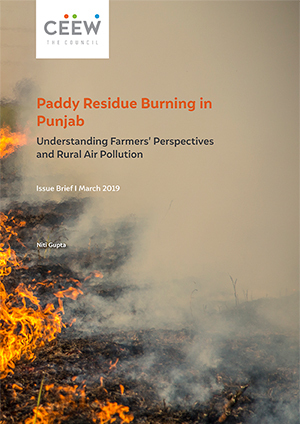 This issue brief examines the impact of paddy residue burning on local air quality in Punjab, evaluates the economic feasibility of alternative solutions like the ‘Happy Seeder’, and tries to understand from farmers the barriers they face in adopting alternative methods of managing crop residue. 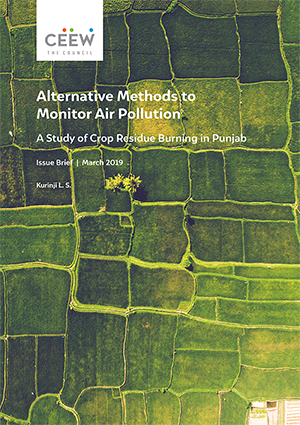 For this study, 48 low-cost sensors were installed across four districts in Punjab to monitor PM2.5 emissions; farmers were interviewed to understand their challenges and understand what they see as the solution; and satellite information was collected and analysed to understand the trend of paddy residue burning in Punjab. Higher emissions of PM2.5 were observed from the paddy-intensive regions of Ludhiana and Sangrur as compared to regions where less paddy is cultivated (Hoshiarpur and Pathankot). During the peak burning season (25 October – 15 November), the average PM2.5 value for Pathankot ranged from 32 µg/m3 to 114 µg/m3; for Hoshiarpur, it ranged from 50 µg/m3 to 155 µg/m3. Innovative agricultural technologies such as the ‘Happy Seeder’ are economically viable alternatives for crop residue management. These machines, which can be attached to mechanised harvesters to shred crop residue and directly incorporate seeds, eliminate the need for burning. Their use is being widely promoted, but uptake has been limited. Renting a ‘Happy Seeder’ can save farmers about INR 1000 – INR 1100 per acre on average in field preparation costs. It also gives the farmers more time between the rice harvest and the next plantation. Around 35,000 ‘Happy Seeders’ would be needed to cover the estimated 5.683 million acres of land on which stubble is burned every year. However, manufacturing of the machine was lagging significantly behind demand in 2018. With no standard rental rates, the rental costs for such technologies remain prohibitive for some farmers. Other options for the disposal of paddy straw include their use in paper or cardboard factories, or as fodder for biomass power plants. The markets for these are currently fragmented. Biomass power plants in Punjab consume 1 million metric tons of paddy straw annually, significantly less than the 19.7 million metric tons of residue generated. Make paddy residue management technologies widely available. To widen the use of alternative machines, a careful assessment is needed of farm-level constraints, trade-offs, and viable business models. 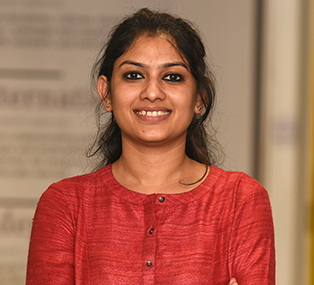 Shift to early-maturing rice varieties (such as those being developed by the Punjab Agricultural University) that allow farmers more time for clearing and preparing fields for sowing wheat. Raise farmer awareness through awareness campaigns to demonstrate better residue management practices, and rid farmers of misconceptions around practices and costs of alternative technologies. In the medium and long-term, Punjab should break the wheat-rice rotation and start diversifying the cropping cycle. Crop residue burnings sits at the centre of the complex cross-cutting linkages of the agriculture-air-water nexus. This brief tries to understand farmers’ challenges in curbing crop waste burning, and examines viable solutions.